Which schools are combining academic with enterprise learning to produce school leavers who are truly prepared for a global employment market? Kate Hilpern reports. 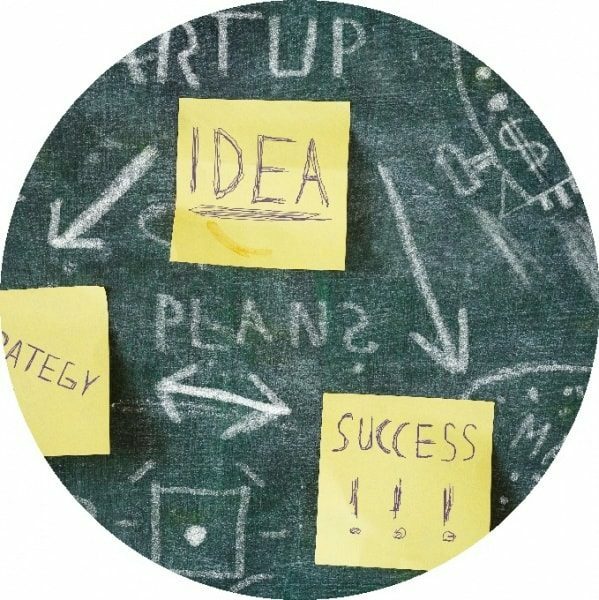 ‘There is some excellent work going on in schools around enterprise and entrepreneurship, but it’s patchy and inconsistent,’ reports Margaret Ambrose, spokesperson for Young Enterprise, a charity that works with schools, colleges and universities to improve enterprise skills among young people. ‘It matters because these skills are increasingly important for young people when they leave full-time education and because the confidence youngsters get from getting involved in enterprise programmes like ours can be huge,’ she says. In the meantime, we set out to find out which are the best schools at developing this mindset. What approaches are they taking? And what impact is it having on the youngsters themselves? Last year’s winner is still successfully manufacturing door stops from off-cuts from fireplaces, while the previous winner continues to import and sell Brazilian liqueur. ‘This year’s winner is a girl who is making washbags out of recycled, reclaimed materials,’ says Bashaarat. Unlike some boarding schools, students do work experience – ‘usually with school alumni (an Inner Temple barrister and a Coutts banker were among those who volunteered this year),’ reports our GSG reviewer. The school also has an Entrepreneur in Residence – this year, it’s Annoushka Ducas, co-founder of Links of London and jewellery brand, Annoushka. 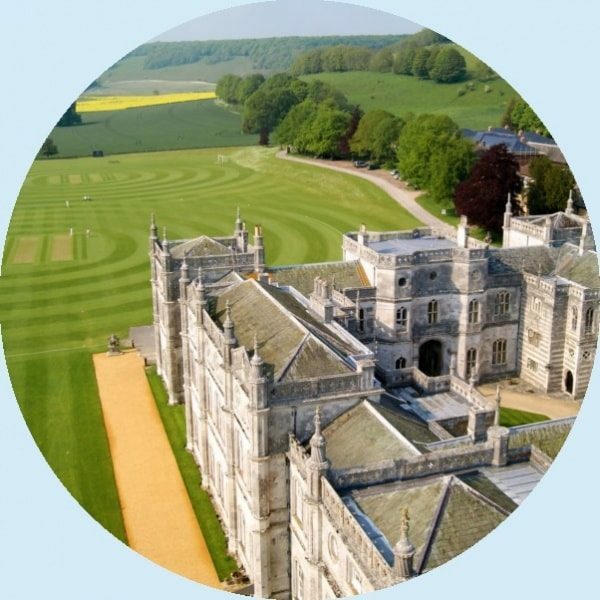 And unusually for an independent school, Milton Abbey offers a BTec in Understanding Enterprise and Entrepreneurship – a two year course starting in the first year of sixth-form. ‘We got rid of business studies A level, which seemed to be a lot of writing up of case studies with very little practical learning, whereas the BTec is all about learning what it’s actually like to start up and run your own business,’ explains Bashaarat..
‘A privileged education for those for whom more conventional schools might feel too much like a straitjacket,’ is how our GSG reviewer sums up this co-ed independent boarding school. ‘Children need to find their passion and drive, to be inspired and to inspire, to appreciate the beauty of life, to be creative, to find their utopia. And that’s what we do at Stowe, awakening pupils’ enthusiasm and excitement and igniting the spark,’ headmaster Dr Anthony Wallersteiner told us. A book company called ‘Save Our World,’ which has produced three children’s books to show the effects of plastic pollution on marine and sea life, is proving a big hit among businesses and members of the public – and not just in the UK, but in Spain, Israel and even Australia. 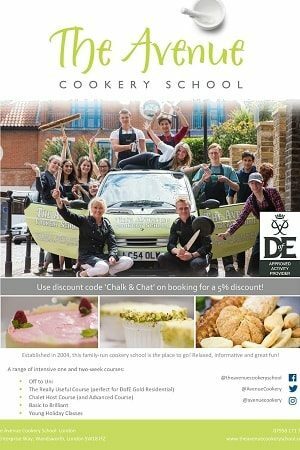 Now on its fifth print run, it’s all down to the work of this co-ed state secondary school’s Young Enterprise Company Programme team, which is made up of 15 year 12 students. 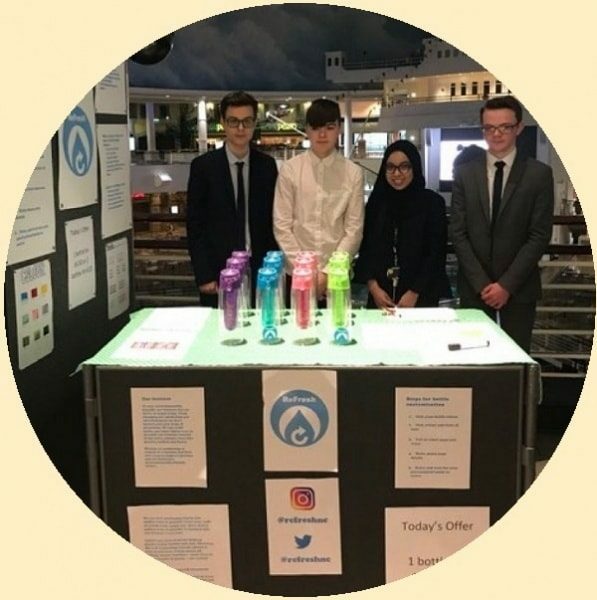 ‘The students had to create, market and sell their product – no mean feat, considering they get absolutely no financial contribution from either the school or Young Enterprise,’ says Richard Vale, who oversees the project. ‘Moreton Enterprises is a unique business venture consisting of a shopping mall run entirely by the girls. 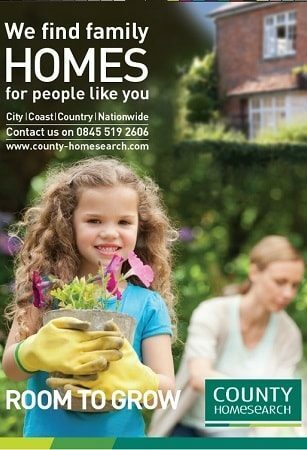 There is a branch of Barclays Bank and home-grown shops selling everything from stationary to records. The girls have business mentors, but basically the lower sixth operates as a small business turning over £50,000 a year. It is seriously impressive. 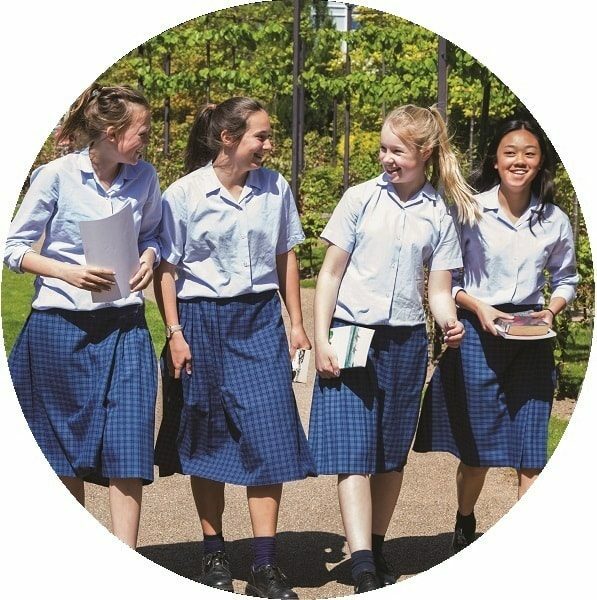 Moreton Connect aims to create a network of Old Moretonians (OM) and parent contacts for careers advice and work experience opportunities.’ Impressive stuff from our GSG review of this independent school for girls aged from 11 to 18 with a linked junior school. And there’s more. The Director’s Table is a new initiative this academic year, involving the year 12 Moreton Enterprises Team attending a series of lectures from top enterprise bods on subjects such as women in leadership, preparing for careers which don’t yet exist and managing change – whether that’s switching degree choices at university or how to manage redundancy. The team ‘absolutely love’ being part of the conversation with these exciting, inspiring women who have brought the real world of work into the school environment, says Lang. Winner of the 2017 TES Entrepreneurial Schools Award, this co-ed state secondary school grabs every opportunity it can to further entrepreneurial skills of all its pupils. Even 11-year-olds sell products and services to the local community. There’s no shortage of partnerships with businesses such as KPMG, PwC and the Pennine Health Trust. 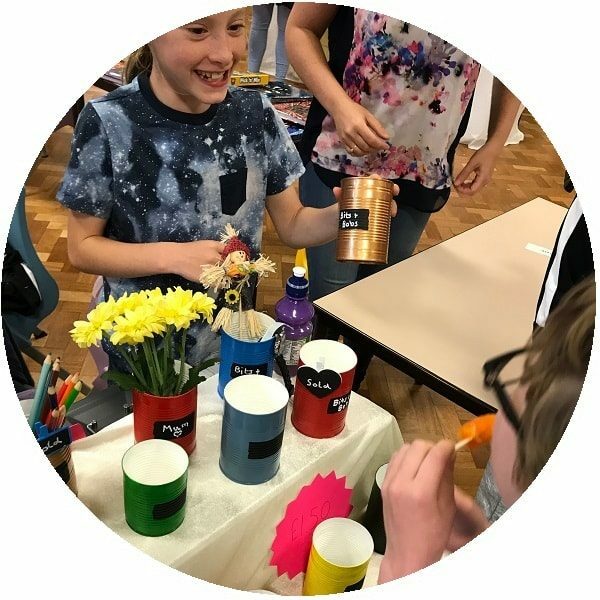 The school participates in all Young Enterprise events ranging from accountancy masterclasses at PricewaterhouseCoopers to the Tenner Challenge run within the school. And the Young Enterprise Company Programme team attends workshops and trading opportunities to help develop their soft skills in business. ‘We believe that being involved in enterprise at a young age will inspire our next generation of entrepreneurs and will hopefully give those pupils enthusiasm about school in general,’ says Marsh, who says Justine Greening MP (previous Secretary State of Education) came to talk to the pupils as a result of hearing about the school’s commitment to enterprise - and Andy Haldane (chief economist of the Bank of England) has also given a talk to pupils. Trips also form a major focus of the school, with pupils regularly visiting local, national and international businesses across Europe. 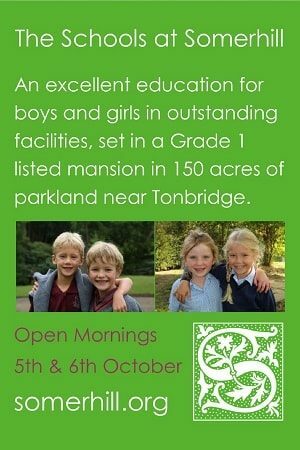 It’s not that often you hear of primary schools standing out for entrepreneurialism, but here’s an exception. The first time, an eco-group won best community engagement award. The second year, a team called Perfect Plays organised and promoted a production of A Midsummer Night's Dream - they won the Best Group Award and the local TV company Estuary TV came to film the production. And in 2017 one pupil won the best individual award. ‘She made pompoms - a whole variety of different colours and styles, which she is still selling. Another group came runners up in the best group award for promoting healthy eating,’ says Rowlands. ‘We are a small, rural school but this does not hold us back – we are small, but mighty,’ says Rowlands. This girls’ grammar school is bursting with entrepreneurial activity. This year alone, two successful companies have hit the ground running. EcoCosmetic produces environmentally-friendly cosmetics, with products including rose and lavender soap, rose bath bombs and make-up bags. 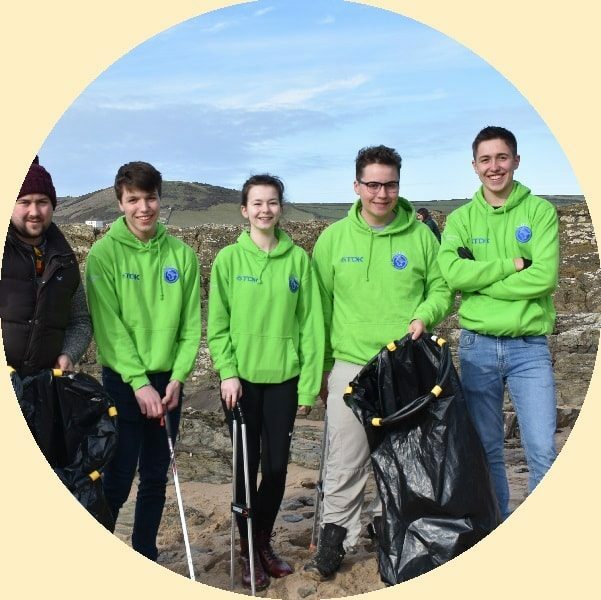 ‘We learned quickly how to handle large amounts of responsibility, work together and meet deadlines efficiently,’ one of the students told us. The company has sold their products at a number of events and have marketed via a dedicated Instagram channel and their own website. Meanwhile, Certi produced a children’s book with a powerful message. 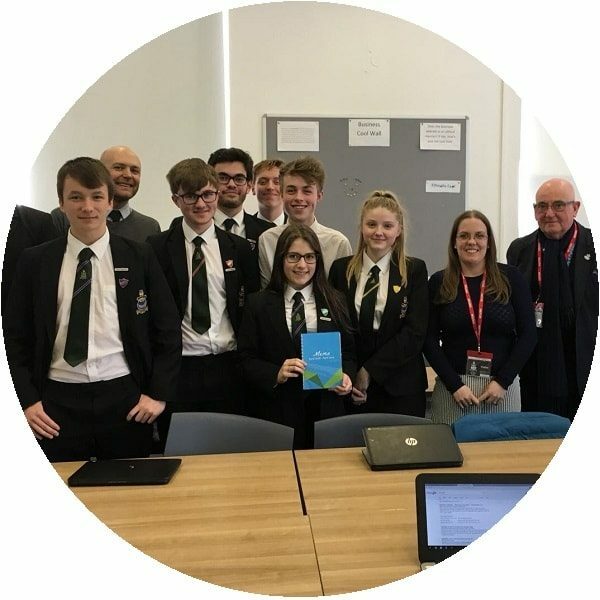 ‘Inspired by the diversity of the school,’ the students said they wanted to create a book which would ‘teach children to celebrate their differences’. Their book, ‘A Princess Like Me’, follows a princess called Zaelia located on the planet Zorg. She has been given the role of princess but is unsure of what to do. With the help of a hippo called Hoff, she travels to earth to see what makes a good princess. On her journey, seven different princesses from different ethnic backgrounds teach her lessons in kindness, happiness, determination, honesty, forgiveness, respect and equality. 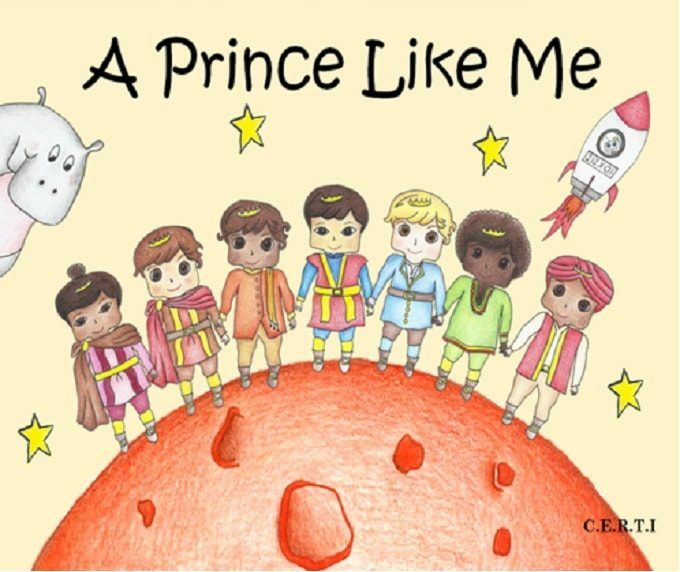 Encouraged by the positive response to their first book, the students are now working on further publications - ‘A Prince Like Me’ and ‘A World Like Mine’ – a book about environmental issues. ‘There are now so many more opportunities for the boys; by the time they leave they are not just academically wise, but worldly too,’ says our GSG reviewer of this boys’ city grammar school – and enterprise forms a huge part of this. Right from the off, boys have business and enterprise lessons. ‘This not only helps them in other subjects, but encourages a big take-up of computer science and business studies at GCSE,’ says Alan Jenkins head of enterprise education. Perhaps even more exciting is the dedicated space set up within the school for enterprise that many of them winding up utilising. ‘All boys with a business idea are aligned with a teacher with the relevant skill set to help them develop it and we help them get access to other business mentoring too, thanks to some great local business partnerships. 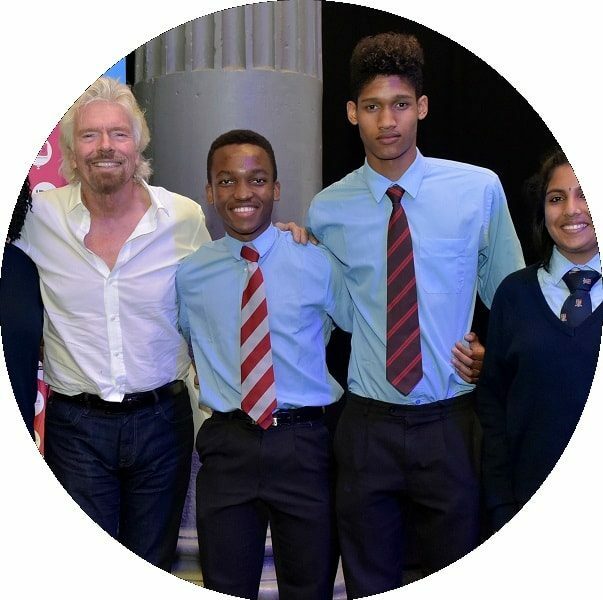 It pays off, with many of them having developed businesses they continue to run alongside their studies – with some pursuing them when they leave school instead of going to university. It’s all about getting them to drive their own futures,’ he says. No boy is given any financial aid, but they are taught about how to access funding and share ownership. ‘It makes them very accountable,’ says Jenkins, who reports that confidence among boys that get involved has soared. The so-called ‘tin can twins’ have celebrity status at this co-ed junior school. Having collected every tin can they could by all means possible, these year 4 pupils then upcycled them with durable paints and sold them on as pen pots. 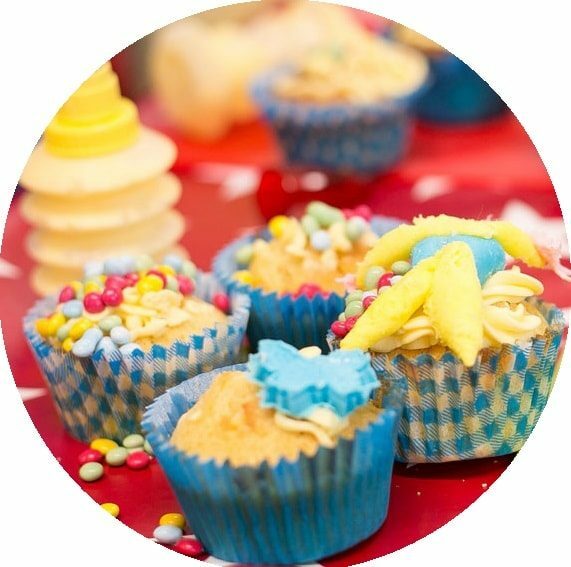 And they’re not the only pupils who have created thriving micro-businesses. ‘One girl in year 3 collected pebbles to decorate to look like animals and people and she sells them on, while current pupil projects include turning jam jars into tea lights and making bird houses from scratch,’ says Dan Warbrick, year 3 teacher, who oversees enterprise in the school. Winner of the 2016 TES Entrepreneurial Schools Award, this co-ed state secondary school joined 16 other winners from schools all over Europe. And in 2017, five year 10 students and two teachers were flown to an international trade fair in Lithuania after inventing a new gadget to give people a cheap way to hook up neon lighting. The students were part of a Young Enterprise company called Mörk Valo formed at the academy. The company sold dozens of the kit, which retailed at £4.99 but cost just £2.89 to produce. Highcrest was one of just three UK schools among the 50-strong group of companies at the event. 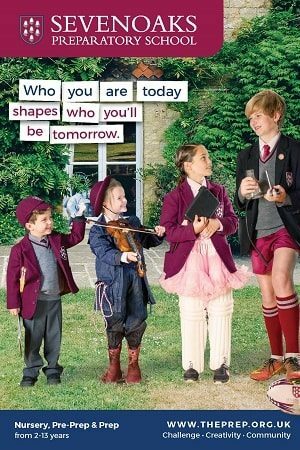 The school’s belief in preparing students for the world of work is probably best illustrated though through its partnership with Johnson & Johnson. A unique three-year project, called Bridge To Employment, between Highcrest and the healthcare giants was launched in February 2016. Volunteers from the firm act as mentors to guide students through various activities and sessions. A report from the University of Derby revealed this year that the scheme has been a factor in improved science and language grades, as well as enhanced confidence in career planning and team-work skills. 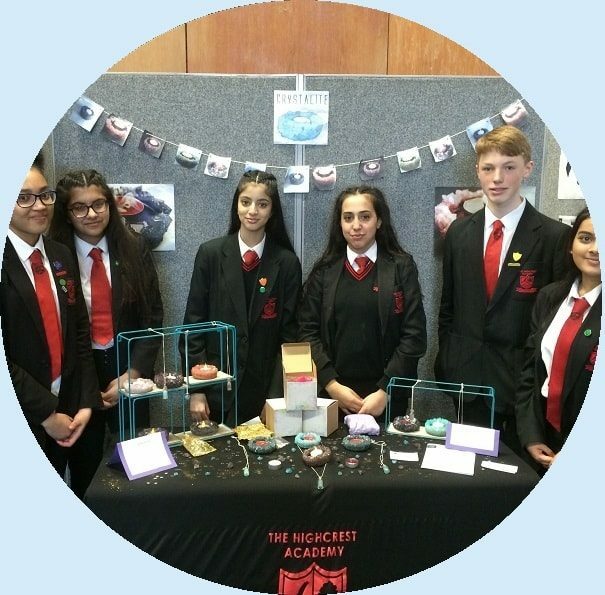 Over the past year, the school has run two Young Enterprise teams - a year 12 team called SoundSafe which created and sold quality wooden earphone tidies and a year 10 team called Crystalite, pictured, which created hand-grown crystal candle holders. And this April, the academy's success story continued as it came second in a Sales Apprentice Challenge competition. ‘The academy understands that in addition to achieving impressive academic results, our students need to have all the skills needed to succeed in the world of work,’ explains careers lead Rob Evans. Photo credits: All images courtesy of the relevant schools.